When someone you love passes away, there are so many things that go through your mind. It can be hard to focus on the details of administering the deceased person’s estate when you are deep in the grieving process. Even in instances where there is a will or trust in place, family members are still left with a mountain of paperwork and a lot of questions about what to do next. Our experienced estate planning and probate attorneys can help you sort through the paperwork, manage the details of the estate, and resolve any conflicts that may arise among family members. What’s the Difference Between a Personal Representative and a Trustee? Typically, a trustee is named by a person who creates a living trust, whereas a personal representative is named by a person creating a will. Both of these roles are very similar. The individual is responsible for managing the trust or the estate and making sure that the assets are properly distributed among the named beneficiaries. In some cases, there may be age limits as to when a beneficiary can receive the assets. A common example is a trust that is left to minor children. The trustee may maintain the trust for several years until the children are old enough to receive their inheritance. One of the main benefits of a trust is that it can avoid the probate process because all of the deceased person’s assets are already placed into the trust. This can reduce or eliminate the court’s involvement and place the decision-making abilities in the hands of the trustee. It can also expedite the administration of the estate. Even when there is a trust in place, disputes can still arise between family members. Sometimes family members or other beneficiaries may decide to challenge the validity of the trust, or take legal action that can derail the smooth transfer of assets. These actions can delay the process for months, or even years. When do you need a Trustee Attorney? If you are dealing with a large estate or if you have lots of different assets to manage and distribute, it can feel overwhelming. You may need help or simply want assurance that you are doing things the right way. Working with one of our experienced trustee attorneys can also increase the level of trust and confidence that other family members have in the process. When our attorneys are involved, we can facilitate communication and provide guidance as you disperse the assets of the estate. Foster an objective approach by focusing on the estate and the actions that need to be taken. This can help to calm emotions during what may be a volatile time in people’s lives. 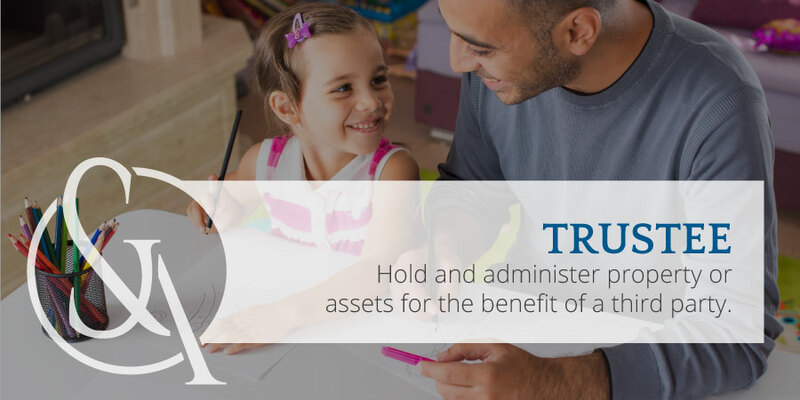 Assist with identifying and locating all assets in a trust, getting appraisals, and making sure that the assets are transferred to the appropriate beneficiary in a timely and cost-effective way. Reduce administrative expenses and ensure that the maximum amount of the trust goes to the designated beneficiaries. Provide support for the executor of the trust by assisting with tasks such as satisfying debts of the estate, paying bills, managing ongoing costs, and making sure taxes are paid. While these may seem like simple tasks, they can be time-consuming and can cause problems down the road if they are not handled correctly. If you are involved in administering a trust for your loved one’s estate, our attorneys can help bring clarity to the situation. We will sit down with you and explain your options in plain and simple terms. And we will offer sound and practical legal advice so you can make an informed decision. If necessary, we can facilitate a dialog among the parties and help you come to an agreement on a resolution. Ultimately, you are in the best position to decide how to manage your loved one’s estate. 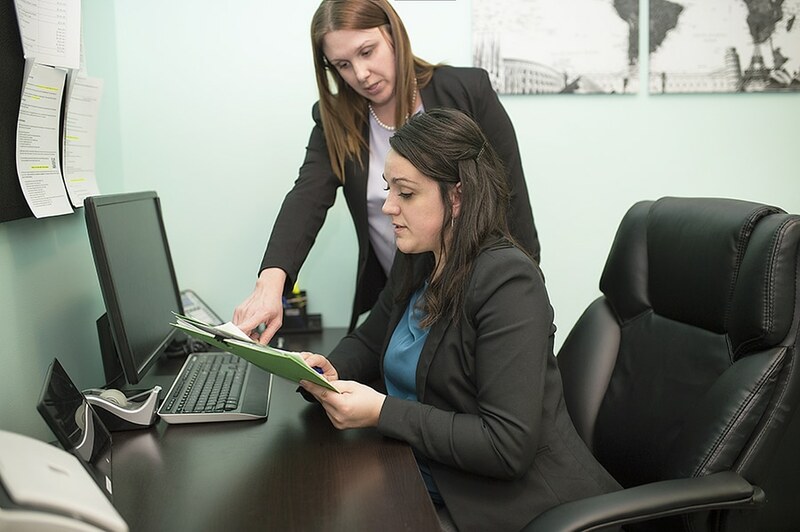 Our attorneys are trusted advisors who will make sure you have all of the information you need to proceed with confidence. If you are looking for knowledgeable and reliable attorneys to help you administer a trust, call Stimpson & Associates for a complimentary consultation at Ann Arbor 734-707-9455 or Tecumseh 517-423-0999. Your First Appointment is Complimentary. Schedule Yours Today.